Nothing is quite as much fun as watching your children play. The younger they are, the easier they are to please, too! Remember all the times you’ve stood in lines to get “the gift” of the season only to have your kid want to play with the box instead of the toy? Yeah, we’ve all been there. Stop listening to advertisers tell you what your child must have and listen to what your kids want. Make a corner of the backyard “theirs”. Make it a place where they learn while playing and allow their imaginations to take them away. Make it their favorite place to be! Two things every child loves playing with are dirt and water. Those two alone can get you started with a mobile mud pit. To protect your lawn, use an old wheelbarrow to mix dirt and water. Secure a wide board across one end the kids can use for their creations. Donate old mixing spoons, wooden spatulas, plastic dishes, or sand toys, for their tools. Let them learn that adding more dirt makes the mud thicker, to use for “building”. They’ll also see how adding water thins it out. They’ll have no idea they are learning basic chemistry. Build a water wall for them to play with. Recycling is the name of the game with this hands-on toy your kids will love. 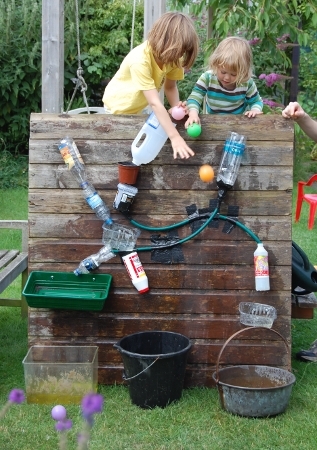 You create a path for water to pass through using cups, tubes, jugs, or hoses for your child to pour water through. Sounds too simple, right? They are learning about gravity. Their little minds will begin understanding science before they know what science is! You’ll have no problem updating it from time to time to keep it fresh, either. String up a clothesline! This began for the washcloths used after playing in the mobile mud pit. It quickly took on a life of its own. The children love to wash and hang their dolls’ clothes. String the line tightly at their height, so it won’t slip and cause a tripping hazard. 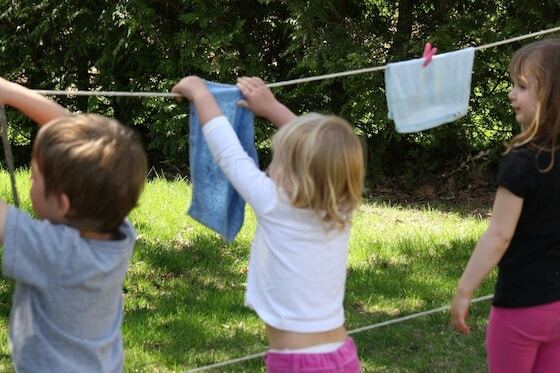 Then allow them to use clothespins that are easy for little hands to grasp and manipulate on the line. 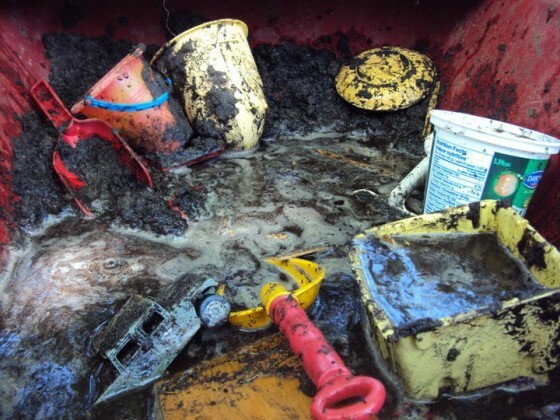 Provide a bucket of sudsy water and let them go to town. The kids feel very grown up when they finish. They’ve also exercised their hand muscles, strengthening them without even realizing it. They’ve also learned a valuable life lesson – clean laundry doesn’t appear on its own. As you can find them, gather play logs that little ones can sit on around a make-believe campfire. Allow them to paint them with glow-in-the-dark paint, for older children. Use them for steps in an obstacle course or for a drum set! There is no end to the imagination your kids will show with a few stumps to play with. Add a music wall and you can have regular concerts! You can also use other scrap lumber bits to create a series of balance beams. The kids can hone their coordination skills in a safe environment. A tire swing is a must-have for a completely child-friendly backyard. Be careful to use equipment that will not harm your children and do routine checks to be sure of continued safety. This particular style of swing can hold up to three children and will last for years. There are so many wonderful, easy ideas to teach your children to enjoy being outside. This gives some great tips for a beginning. There are two items for your backyard play area that will make your world easier. They are worth spending a bit of extra time and money on. Those would be a playhouse and a storage shed. Between those two, you can store the majority of the items we’ve discussed when not in use. This makes their playthings last longer and keeps your yard clear of clutter. So go ahead and get started! Make your backyard your child’s favorite place to be!